These are the final days of Matisse and Renoir in Lower Merion. 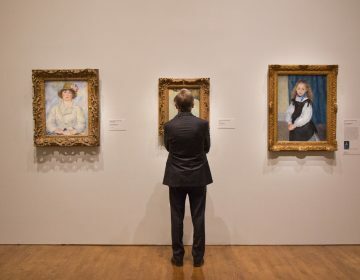 The renowned art collection at the Barnes Foundation will be on view until July 3, and then the galleries will close permanently while the art is prepared for the move to the Benjamin Franklin Parkway. The contentious arguments swirling around the Barnes collection and its location have sometimes overwhelmed the art in the center of the hurricane. The politics, finances, urban planning, and aesthetics of moving paintings from Lower Merion to the Parkway have become an international flash-point. Even the documentary film arguing against the move, “The Art of the Steal,” spent precious little screen time on the art itself. But art lovers have been coming for a last look at the paintings in their original setting, even though the second floor of the galleries has been closed for conservation for the last six months. Tickets to the galleries must be reserved in advance–there are no walk-ins. The case against the move is still afoot. On Aug. 1, in Montgomery County Orphans’ Court, the Friends of the Barnes, the group opposed to the move, will argue before a judge that the decision to move the galleries was not in the public’s best interest.